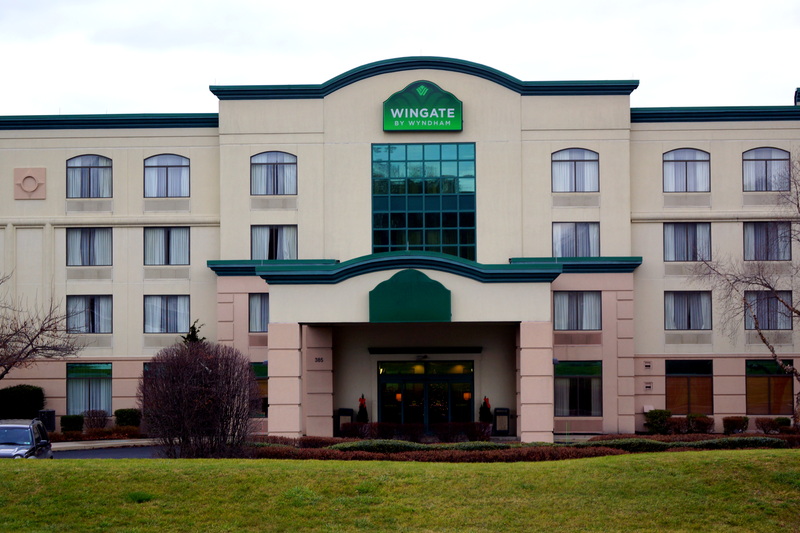 We stayed the night at the Wingate by Wyndham hotel in Mechanicsburg, PA for Hooch’s first-ever dock diving practice. 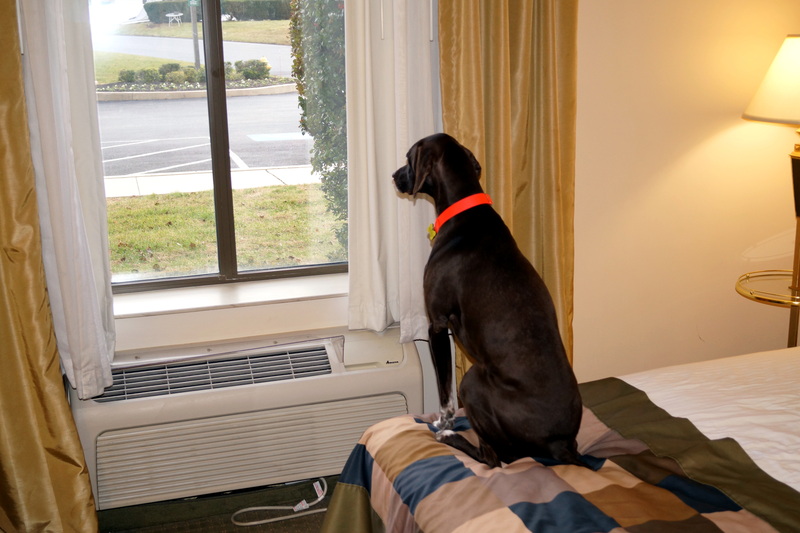 This hotel is conveniently located, and is dog friendly. Dogs stay with an added nightly fee. We requested a first floor room located near an exit, since Hooch is still not “100%” at potty training. We were given a room with a perfect location – right near side-exit door, which had a nice grassy area, doggy waste bags, and a trashcan. We were also able to park right at this door, which was very convenient. The hotel room was clean, smelled nicely, and had extremely friendly staff, who called our room after our arrival to check to make sure we were satisfied. Hooch enjoyed resting on the couch before his big practice debut. And Cello enjoyed watching out the window! 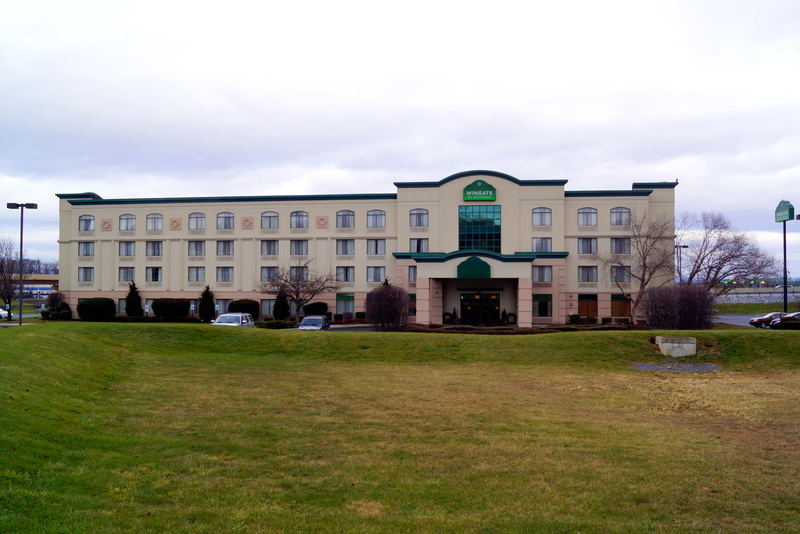 Overall, we were pleased with our stay here, and would choose to stay here again if we came to another Keystone DockDogs practice in this area. 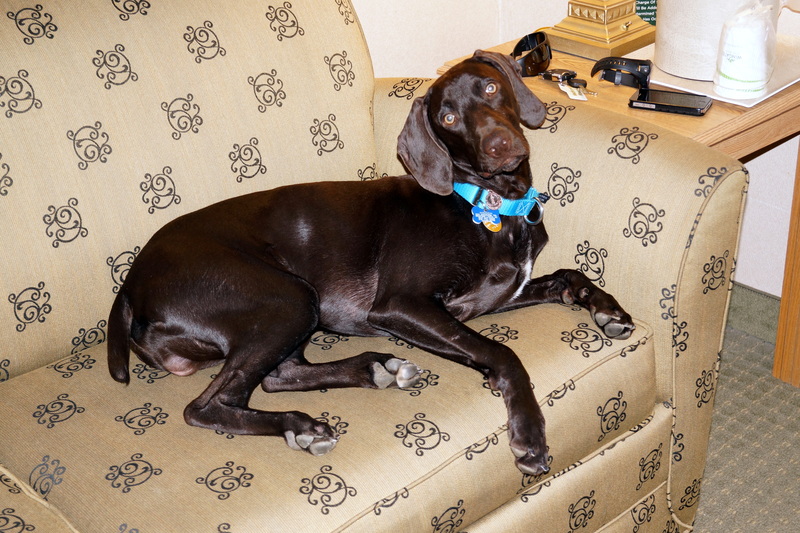 This entry was posted in Cello Has Been There, Hooch Has Done That and tagged Cello, dog friendly, hooch, mechanicsburg, pennsylvania, wingate by wyndham. Bookmark the permalink.